THE IGNITE ACADEMY AND MENTOR EXPERIENCE IS NOT AVAILABLE TO INDIVIDUALS WHO ARE ON AN ELIGIBILITY LIST FOR FIREFIGHTER PARAMEDIC DURING AN OPEN RECRUITMENT PERIOD. 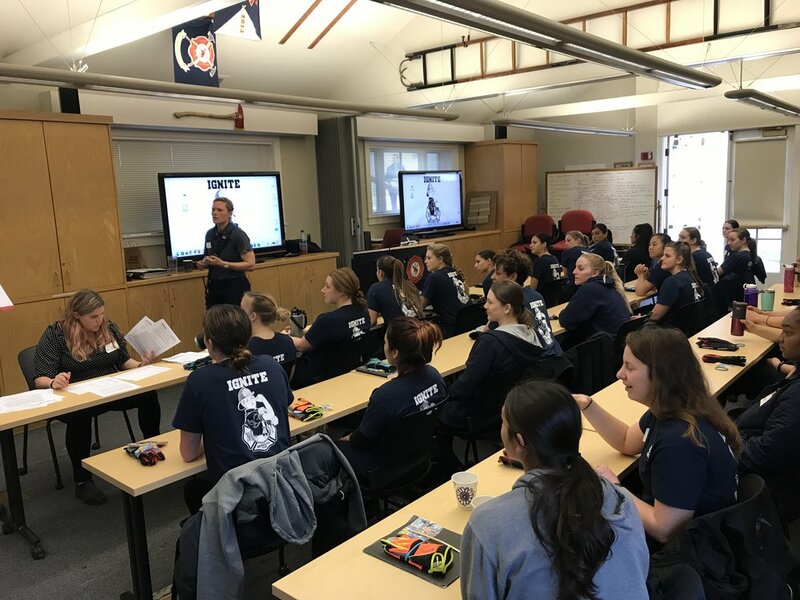 Ignite was conceived by the Berkeley Fire Department due to the decline in qualified women understanding that the fire service is a career option for them. From there it has grown into a whole community outreach program to improve understanding and interest in a career in the fire service. Our goals are to inspire young people, expose them to the actual life of a firefighter, instill confidence, and reveal natural capabilities. Many students and student athletes are focused on performing well at what they are doing in the present time and are undecided on future endeavors. The skills and characteristics that collegiate athletes possess parallel the skills and attributes of firefighters. Integrity, dedication, leadership, selflessness, teamwork, physical and mental perseverance are part of the foundation of both athletics and firefighting. The skills acquired as an athlete translate to firefighting. Ignite is a mentorship program and academy. Mentorship and ride-a-longs can start right now! Click on the link above to be contacted by a firefighter to schedule a ride along or to be contacted if you have questions you need answered. The ride-a-longs will be offered at different fire stations throughout the City of Berkeley with carefully selected mentors. Firefighters will make intermittent presentations throughout the community to promote the program and discuss future opportunities to attend the academy. Click on the link above to put in an interest card to enroll in the next academy. Check out our first IGNITE Academy video... Click here. EDUCATION - student are exposed to what the fire service is through presentations. They are given the opportunity to ask questions to other firefighters. EXPERIENCE - Students are given the opportunity to get a hands on experience and actually touch and perform hands on skills in a 2 day camp instructed by professional firefighters. 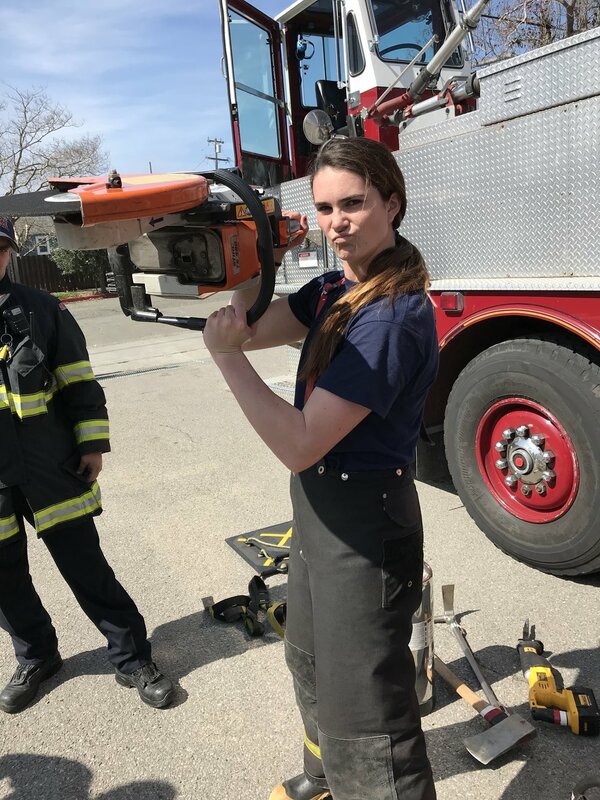 MENTORSHIP- Students may able to ride along for a day and live in the life of a Berkeley firefighter and given information on what school and prerequisites are required to become a professional firefighter. What will I be doing at this 2 day academy? The majority of the academy will be hands on events so you can try on our gear, learn how to pull a hose line and climb ladders. Some of the topics covered are listed below. The academy will end with a friendly competition putting to use your new skills! OBJECTIVE: To expose participants to firefighter protective clothing including an overview of parts and why it is important. Participants will be shown our protective clothing and be able to try on all of the firefighter gear, including learning to breathe with a face mask and air bottle on. OBJECTIVE: To understand the different types of hose we use and how to pull and manage a hose line. 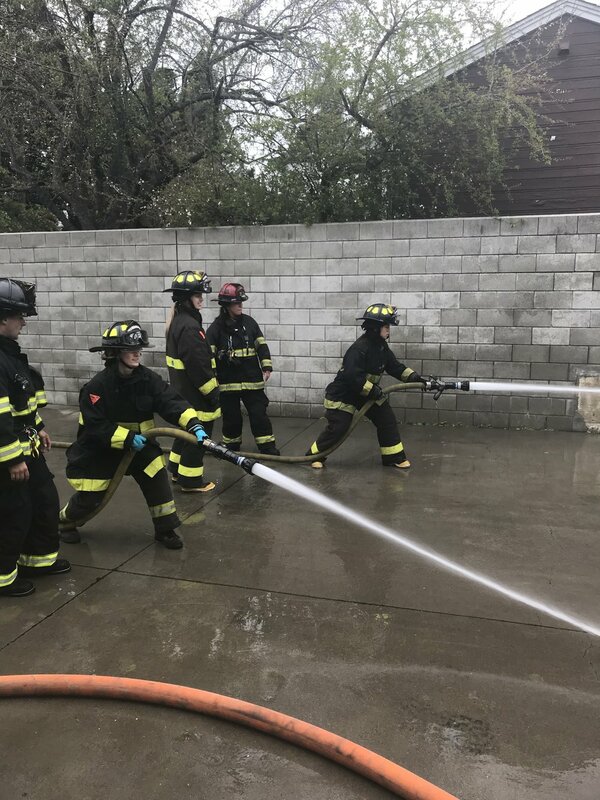 Instructors will introduce participants to the different hose lines we have, explain why we use different lines for different scenarios and demonstrate how to deploy a hose line from the fire engine and move forward with it towards an objective. OBJECTIVE: To expose participants to the most commonly used hand tools in the fire service. What they are, what they are used for and how to use them most effectively. 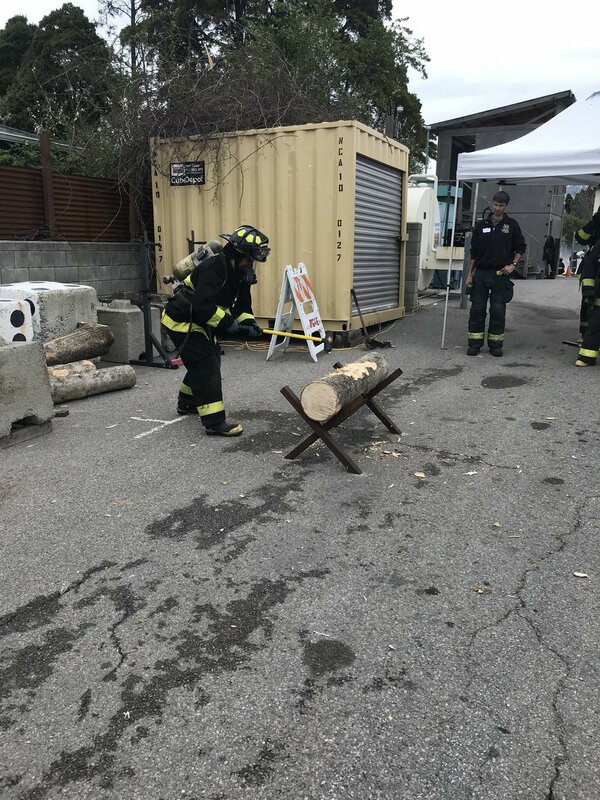 The instructors will teach about the parts of the tools, explain why we use certain tools, and demonstrate the proper body mechanics for using each tool. OBJECTIVE: To show how firefighters use and climb ladders. Instructors will explain parts of the ladder, different types of ladders, and ladder uses. They will demonstrate proper climbing technique and how to work off of a ladder. Instructors will demonstrate how to place a ladder to a building. OBJECTIVE: To expose and demonstrate operation of commonly used power tools. Instructors will teach about safety of using tools, parts of the tools, how to turn the tools on, and how to use them. They will also discuss the most common uses for different types of tools. Learn how to start a chainsaw! OBJECTIVE: To expose participants to climbing a truck-mounted ladder. Instructors will discuss what the truck is, what types of tools are on the truck, what type of incidents trucks respond to, and demonstrate climbing the aerial ladder. Participants will be able to climb the aerial ladder while secured to a belay safety system.